The Law Firm of Jonathan D. Light concentrates exclusively in personal injury law, representing people from throughout the greater Boston area. The firm has handled thousands of cases, collecting millions of dollars in compensation on behalf of its clients. 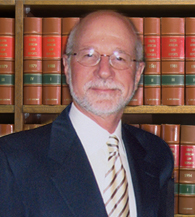 Jonathan D. Light, the firm's founder, has 35 years of experience practicing personal injury law. This experience has given him the ability to deal with many of the complex issues associated with personal injury and wrongful death cases. Mr. Light has received the AV® Preeminent™ Peer Review RatingSM by Martindale-Hubbell®, the highest possible rating for legal competence and integrity. He is a member of the Massachusetts Bar Association and the Massachusetts Academy of Trial Lawyers. Mr. Light received his J.D. degree from the New England School of Law, graduating in the top ten percent of his class. He has served on the New England Law School's Law Review and has written an article analyzing a U.S. Supreme Court decision regarding libel and slander, which was published in the law review. Mr. Light received his undergraduate education at the University of Virginia and George Washington University. He earned his B.A. degree in 1971. Mr. Light has been married for 40 years and has three children. His wife has earned a doctorate degree in education and is a dean of enrollment management at North Shore Community College. Mr. Light has been a town meeting member for the Town of Swampscott and has served as vice president and a board member of his temple, and a member of the Board of Trustees of his homeowner's association.